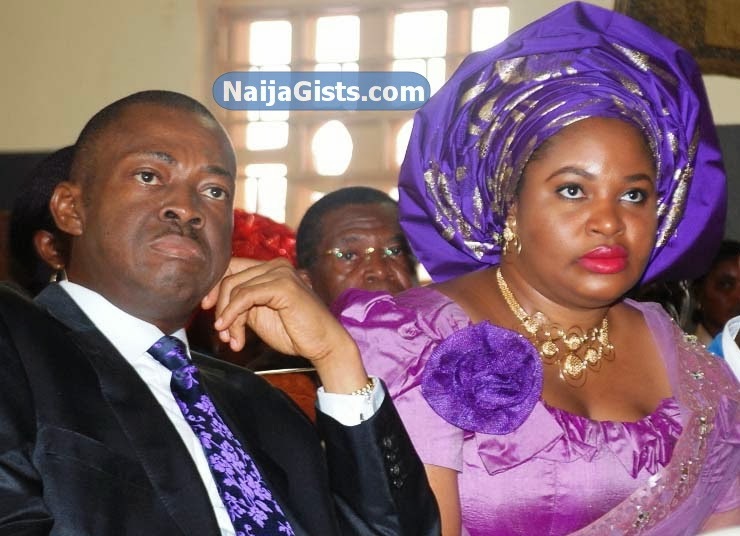 Shocking but true, this is the real story of Clara Chime , the First Lady of Enugu state Nigeria who is currently placed under house arrest by her cancer-ridden husband, Governor Sullivan Chime. According to a painful letter she wrote Sahara Reporters few days ago, Clara Chime claims she hasn’t share her matrimonial bed with her hubby in over 4 years and she has been confined to her home for such a long time since her marriage in 2008. She is crying out to human right activists, groups to come to her rescue. “Police and SSS men have been instructed by Br Sullivan Chime to confine me in a place for a long time now against my wish [but] it is my wish to leave these premises,” she said, begging. Oh my God! this is unbelievable. See human right abuse right under our roof. How can Governor Chime lock this woman up for committing no crime. What could have caused him to make such a nasty decision. And by the way why is she taking medication? All these and more are questions Governor Chime will have to answer. Stay in touch as we follow this news closely. Will bring you more updates.